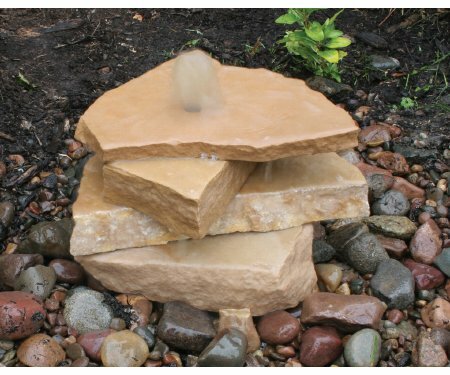 USA Wholesaler - 8621860 - Aquarock 5 Gal Sandstone by Generic at Joes V Cycle. Hurry! Limited time offer. Offer valid only while supplies last. Incorporate the sight and sound of water into your garden or landscape. Comes complete with everything needed to install a beautiful water fountain. Incorporate the sight and sound of water into your garden or landscape. Comes complete with everything needed to install a beautiful water fountain. Includes: Water basin, skirt, pump with 6' cord, hose, drilled rock stack. Includes: Water basin, skirt, pump with 6' cord, hose, drilled rock stack. Comes complete with everything needed to install a beautiful water fountain.